One thing I love about papercrafting are the fun tools that can be used to add that special twist to your artwork. I have used the Circle Diffuser once, and loved it, but completely became re-inspired watching this video and learned a few tips for using them. Press play and be prepared to add these products to your next order! I would love to know what you learned and/or loved about the information shared! You can click here for a link to the Embossing Folders and Diffusers. Wishing you a great end to the work week and an enjoyable weekend, doing what you enjoy! Heart 2 Heart Challenge - Boo! This week at Heart 2 Heart Challenges the theme is "Boo" and what else comes to my mind other than Halloween?! DUH! LOL However, I am excited to see the creative interpretations others come up with. Someday I promise to step outside of the box, even just a bit. I, of course, used the Nevermore paper packet. What else would I have chosen? 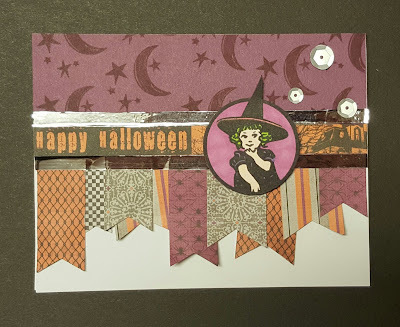 LOL Stamping the moon and star collage, which comes in the Halloween Greetings stamp set (pictured below), in Eggplant ink on Eggplant cardstock created a patterned background. Strips of various patterns of B&T, and the zip strip, were cut to create the dovetail banners. The "Happy Halloween" strip is a zip strip and I sandwiched it between two pieces of Silver Foil Tape and finished the card off with three Silver Sequins, of course. Always have to add a bit of bling! The girl image, which is too cute, was colored in with ShinHan markers. Isn't this stamp set completely fun and cute?! Why not consider linking up with us this week at Heart 2 Heart? I would love to see what you come up with. Have a blessed week and make it from your heart! 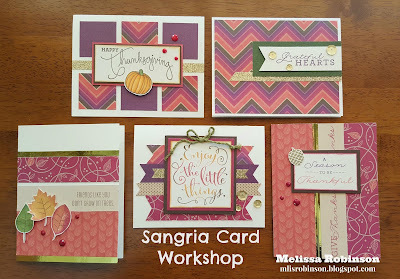 I designed these cards using the beautiful Sangria paper packet and incorporated some fun stamp sets, techniques and embellishments to complete this 10-card workshop (2 each of the five designs)! These cards can be yours by purchasing a kit, ordering the completed cards, or purchasing cutting diagrams and directions to create them on your own. Read below for complete details! There are a few purchase options so read through the details and let me know which you would like! Card Kit: The card kit, which includes all pieces to create 10 cards that are pre-cut, stamped and ready for assembly is just $25.75! (Includes $5.75 priority shipping to your door.) Full-color directions and photos will be emailed to you within 24 hours of receiving your payment order. Kits will ship within 7-10 days of placing your order. The last day to order a kit is November 10th. Completed Cards: If you would simply like the completed cards, you can purchase one of each of them (a total of 5) for $15.00 (includes first class mail postage) or you can purchase two of each (10 cards total) for $25.75 (includes $5.75 priority shipping). The last day to order the completed cards is November 10th. They will ship within 7-10 days of placing your order. Cutting Diagrams/Assembly Instructions: To purchase the cutting diagrams and full-color directions and photos, simply pay $5 OR GET THEM FREE when you place a $25 order between now and November 15th. They will be emailed to you within 24 hours of receiving your payment and include a supply list. 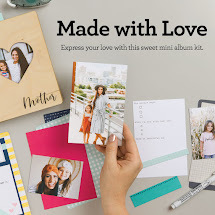 Doing so will allow you to use your own supplies to create them and if you are a Close To My Heart Consultant, this does grant you the right to teach them to your customers. Please select the appropriate option. If you want a kit or the cards mailed to you, please be sure to include your shipping address. If you want the diagrams/instructions emailed to you, please provide your email address. If you have any questions, please contact me directly at mlisrobinson@gmail.com. Thank you in advance for your business! Have a wonderful weekend and stay dry if you are receiving rain in your area. I figure a good rainy day justifies papercrafting. LOL (Like I need an excuse to do so.) Be blessed! I love the Cricut and the ease of creating artwork with it but I especially LOVE Close To My Heart's exclusive cartridges that are such a great value! We have FIVE cartridges - one that comes with a digital option - that are designed to coordinate perfectly with our stamp sets and other products. You really must check them out if you haven't already done so and if you have most of them, go ahead...check out the one(s) you are missing and add them to your wish list! 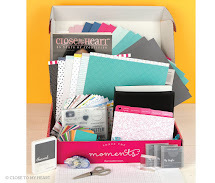 They also make great Christmas gifts for that papercrafter on your list. 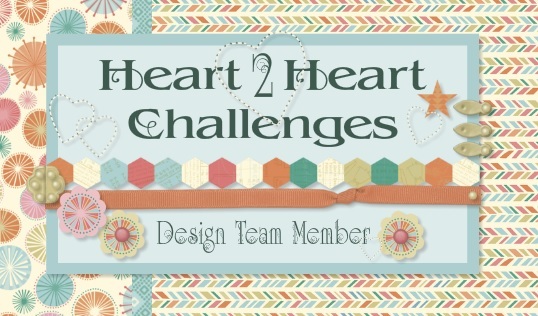 This week's challenge topic at Heart 2 Heart is "Cricut Capers". 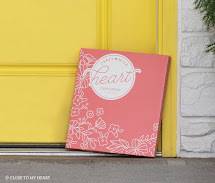 You can use any Close To My Heart Cricut cartridge and incorporate it into your artwork. Then, link to our challenge. We love to see your creativity! I struggled a bit with what I wanted to create because there is so much to choose from but this is what I decided on. 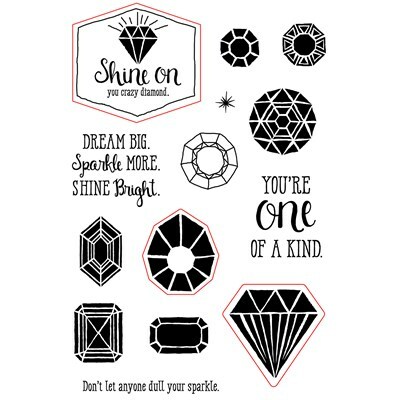 The stamp set that goes perfectly with this cut is the "Diamonds are Forever" stamp set (shown below). Our new Gold Foil Tape is one of those must-haves, just like Shimmer Trim. It is perfect for adding a little bit more without taking away from the focus of your artwork. The three dots are some of our gems from the Gold Bling Gems Assortment. Aren't they fun?! 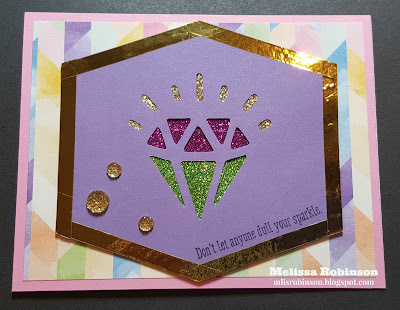 And I absolutely LOVE the sentiment, "Don't let anyone dull your sparkle." LOVE IT! 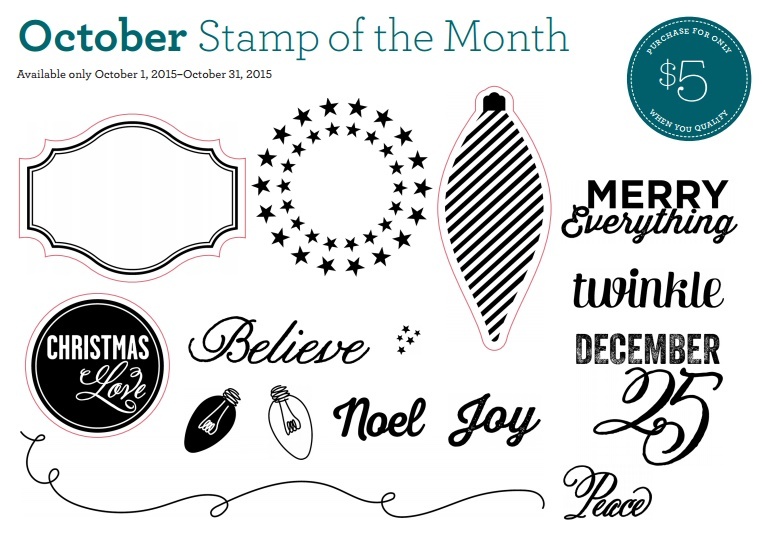 I cannot wait to create more with this adorable and fun stamp set. 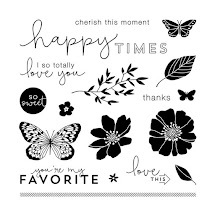 Can you think of someone who would love to receive a card with some of these messages? I can! 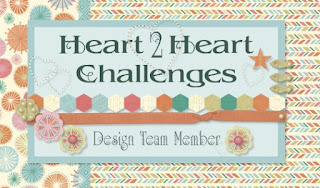 Thanks for stopping by and now head on over to Heart 2 Heart and join our creative challenges. I know I find inspiration from all the wonderful artwork I see. Enjoy the rest of your week and don't forget to...Make It From Your Heart! 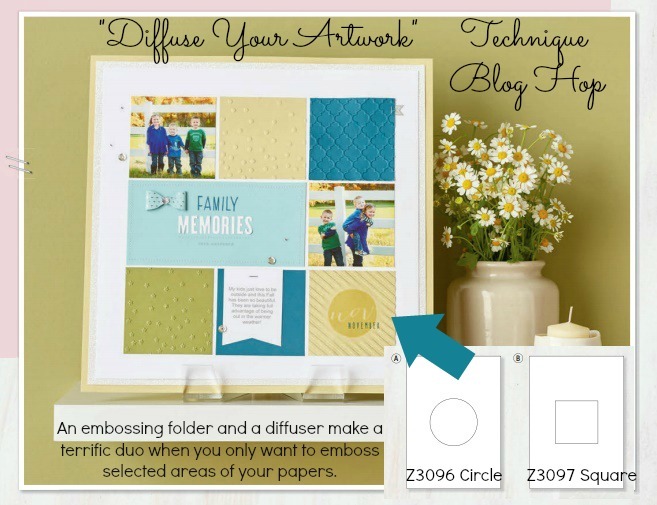 Thank you for joining us on this hop as we show you how to "Diffuse Your Artwork" using our Square or Circle Diffuser, used alongside our Embossing Folders. They provide a totally fun and new element to folders, giving them even more value. If you are coming from Sheila's Blog, you are on the right track. A list of participants is provided at the end of the post. Incorporating the Confetti Embossing Folder, with the Circle Diffuser, I designed this card. The Confetti Embossing Folder is nice as it heavier on the bottom and gradually reduces the number of dots as it gets towards the top. Then, you can see where I used the Diffuser, and stamped the sentiment, that there are no embossing images in that area. Fun, right? That is what the Diffuser does - blocks the area for stamping or other creativity. 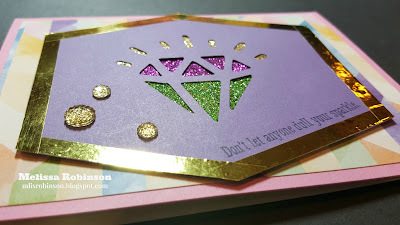 I was a little timid in using the Diffuser - just running it through the Cuttlebug - but it worked out great and I cannot wait to try it with other embossing folders. There are quite a few videos on YouTube for how to use them so check them out and then get one or both to play with! The Square Diffuser will definitely be on my next order! I cannot wait to see what the other ladies came up with so keep making your way around the hop, checking out Darlys' Blog next. Heart 2 Heart Challenge - "This is My Hometown"
The theme of this week's Heart 2 Heart Challenge is "This is My Hometown". I am a Texas transplant - love living here in the Dallas Metroplex - but am a New Mexico girl at heart. 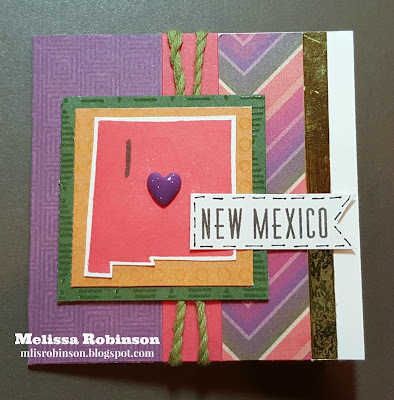 I decided to use the new, M-size, New Mexico stamp set (there is one for each state and all Canadian providences) for this week's artwork. 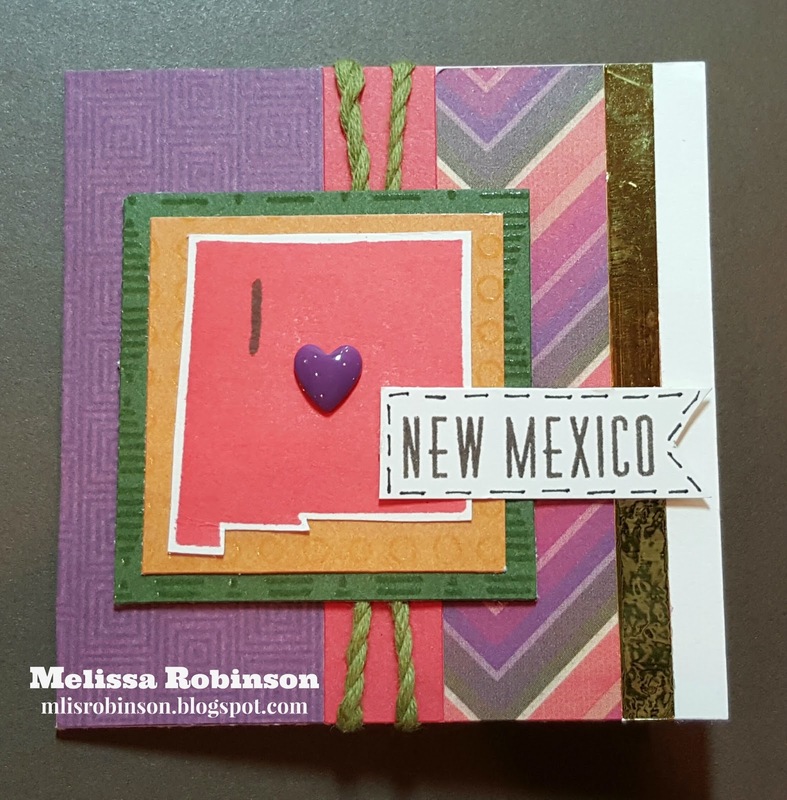 I felt the Sangria paper pack screamed New Mexico so used it for some fun color! This is a 3x3 card where the Sangria patterned paper, coordinating cardstock, Gold Foil Tape and Fern Twine were perfect for representing my heritage. I hope you love it too! The New England Ivy and Goldrush paper pieces came from the Enchantment Fundamentals paper pack. The colors of this card remind me of green and red chili (called and spelled "chile" where I'm from)... Sheesh! What I wouldn't give for some southwest New Mexico food right now! If you care to know, I was born and raised in Silver City, NM. It is a quaint little town nestled at the base of the Gila National Forest, north of I-20, just north of Deming that is located on the Mexico border. While we grew up having to drive at least two hours to get to a mall, there were some fun ways we discovered to spend our time while living "out in the middle of nowhere". If you are ever looking for a place to visit, you might want to give it a try. There are a lot of outdoor activities - hiking, fishing, etc. - and a lot of yummy places to eat that serve the best Mexican food around! 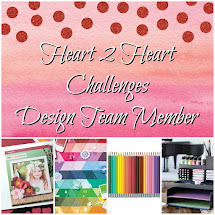 Now, consider joining us for this challenge and link up to us at Heart 2 Heart! We love to see your creativity at work! Thank you for joining us, members of the Stampers with an Attitude Team with Close To My Heart, as we showcase the beautiful Sangria paper pack. I must admit, "I am Melissa and I am addicted to Sangria." LOL I think you will be too, if you don't already own it. If you are coming from Belinda's Blog, you are on the right track. You can find a complete list of participants by clicking here. I love the simplicity of this card, straight out of the current Annual Inspirations Idea Book (although designed with other paper and stamps). Two pieces of patterned paper from Sangria, some Champagne cardstock, Gold Foil Tape, leaves rolled in different inks, and Red Gems completed my creation. And, don't you just love the sentiment? 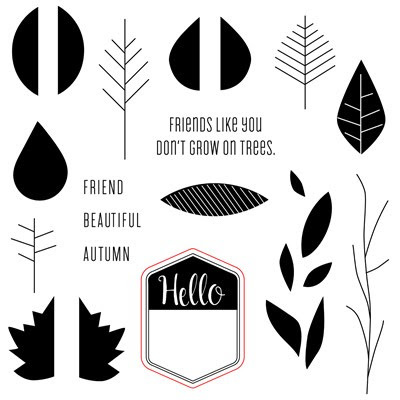 It came from the stamp set called "Friend Tree". Here is a closeup of the dimension with the leaves. After stamping them, I did wrinkle them up to make them look real. Fun, huh?! 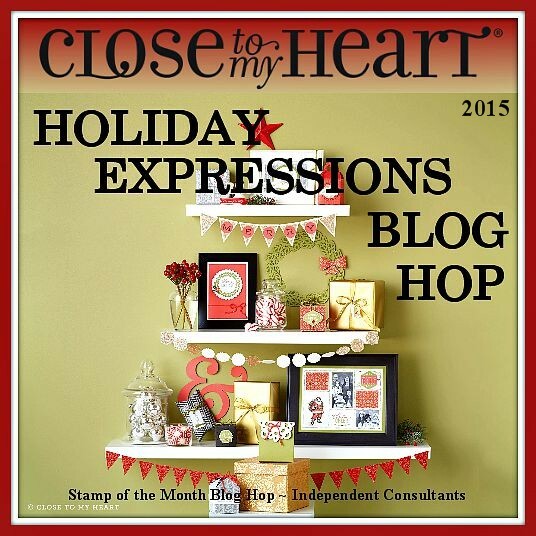 We are shedding a spotlight this month on the fabulous and new products contained in this issue of Holiday Expressions. The products were released September 1st and are only available to you through December 31, 2015 or while supplies last. It contains holiday-related products perfect for Halloween, Thanksgiving and Christmas. You can click HERE to view the online version or contact me or your CTMH Consultant to obtain a hard copy. 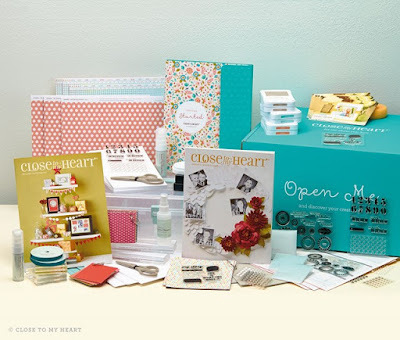 There are 30 Consultants showcasing these products and I know you will love what you see! If you are coming from Jessica's Blog you are on the right track. You can find a complete list of participants by clicking here. 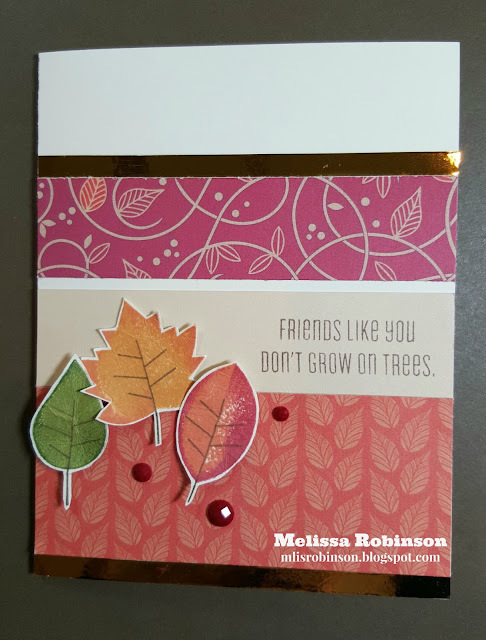 I totally LOVE how this card turned out and it was so simple to create. Eggplant cardstock was used for the card front and then two different patterned paper was added from the Sangria paper pack. 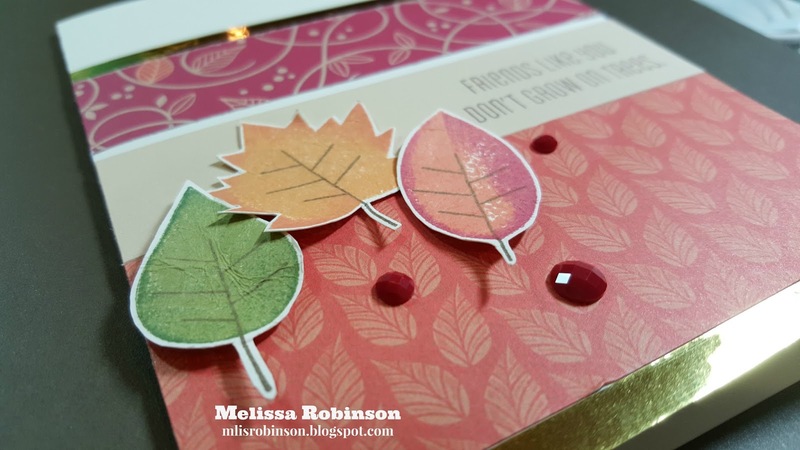 The sentiment and leaves came from the Thankful Heart stamp set, stamped in Cocoa and the leaves colored with the ShinHan markers. 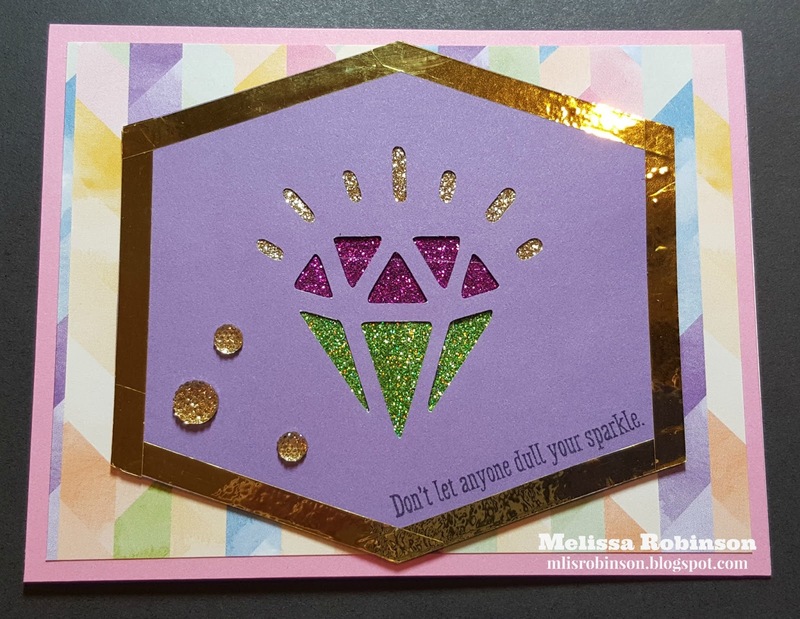 Gold Foil Tape, a fun embellishment that is simple to add to your project, and Gold Sequins finished off the card. Thanks for stopping by. 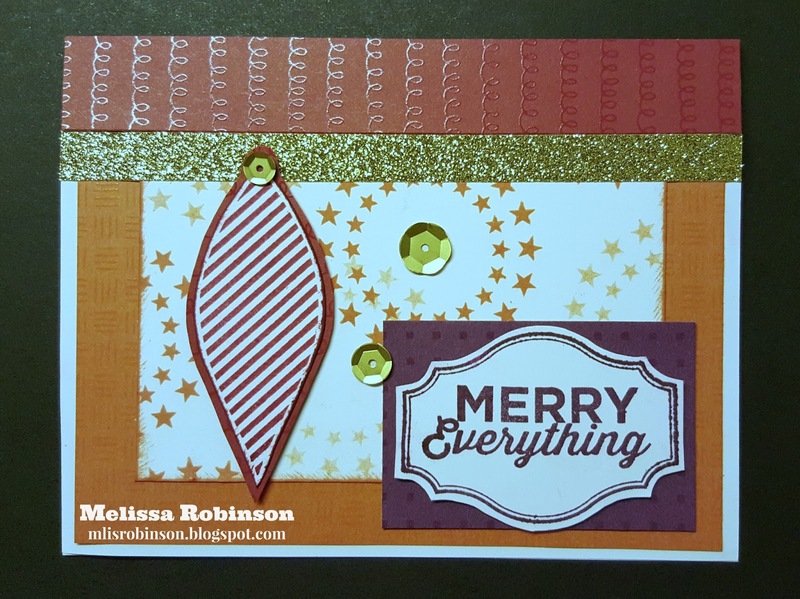 I would love for you to leave a comment before heading over to Sheila's Blog to see what she created using the Holiday Expressions products. 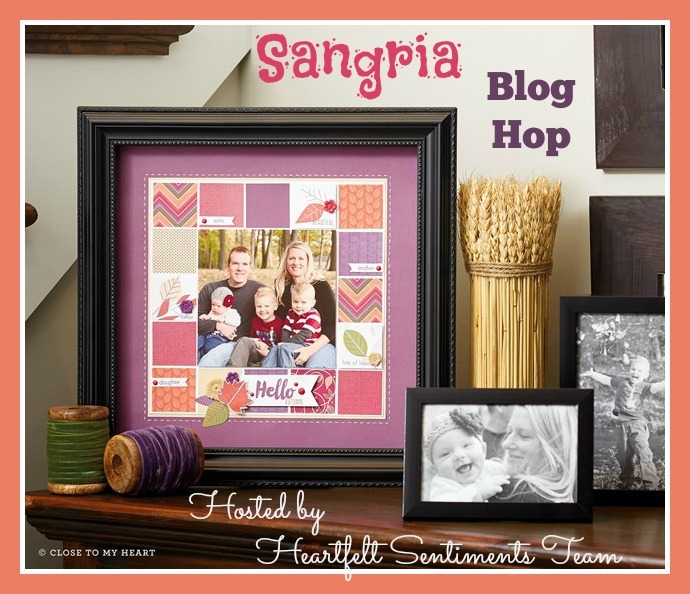 This month we are featuring the gorgeous and brand new paper pack, Sangria! It is full of vibrant and fall-ish colors, perfect for many kinds of projects, and it looks even prettier in person! If you are coming from Lisa's Blog you are on the right track. A list of participants is provided at the end of this post. I chose to keep my card simple this month and used the chevron, multi-colored patterned paper, the Eggplant patterned paper, and Poppy and Champagne cardstock. Gold Shimmer Trim was added, for a bit of bling, and the "hi" bubble, star and heart came from the Fundamentals Stickers Enchantment Pack. 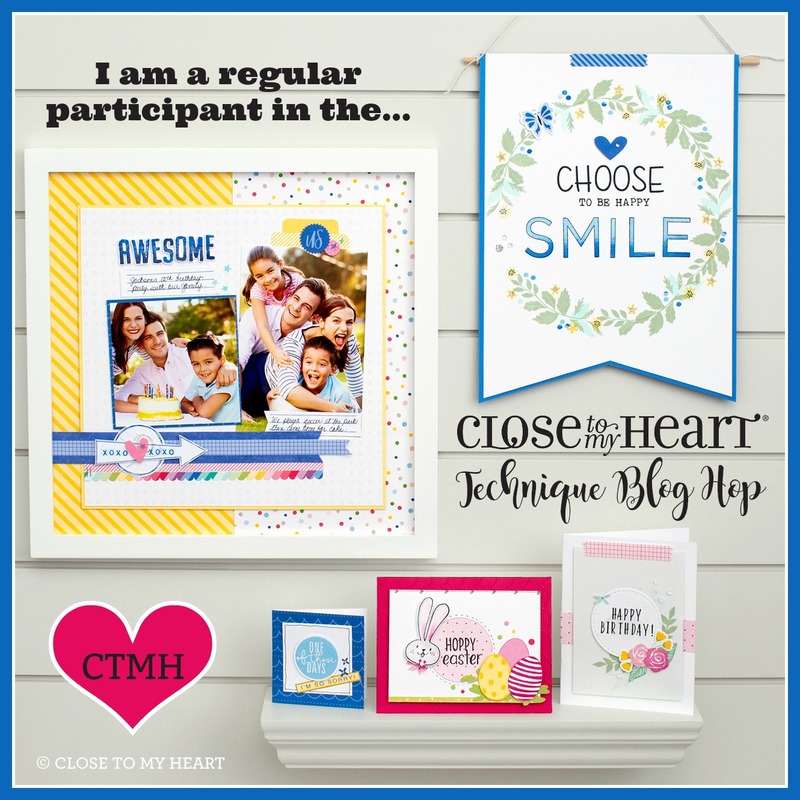 Please head on over to Tonya's Blog to see what she has created to share with you. Happy hoppin' and Make It From the Heart! 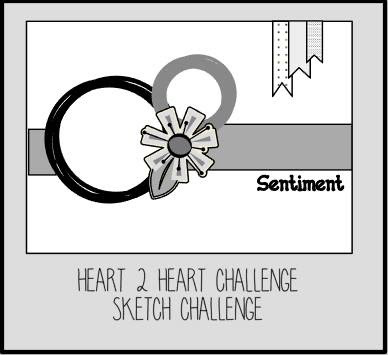 We start our first week in October with a fun sketch with Heart 2 Heart Challenges. I love this sketch and had fun playing with it. As always, I am looking forward to seeing everyone's interpretation of it. It is fun to see how everyone starts in the same place but a variety of creativity is the result. 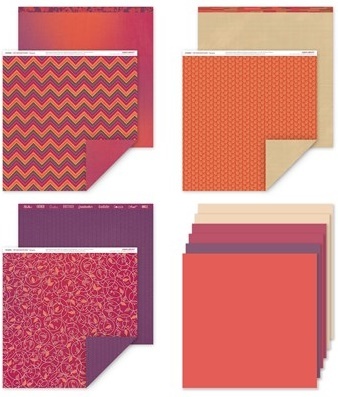 You can't help but love the new Sangria paper pack. It is gorgeous, reminds me of Fall (for sure) an offers so much color. 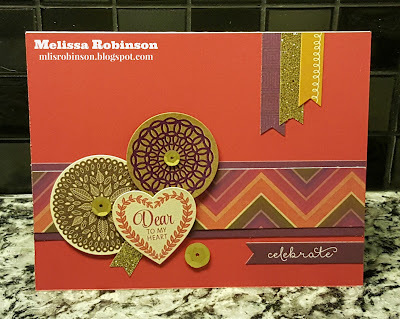 I used Poppy, one of the new colors in our Enchantment Color Palette, for the card front. 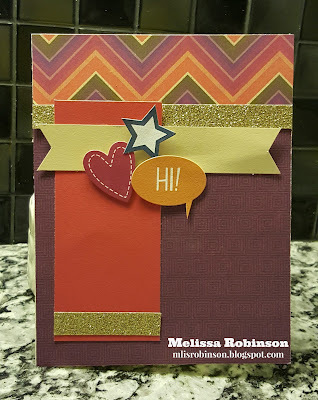 The chevron pattern was used and layered on a piece of Eggplant cardstock (another new color). 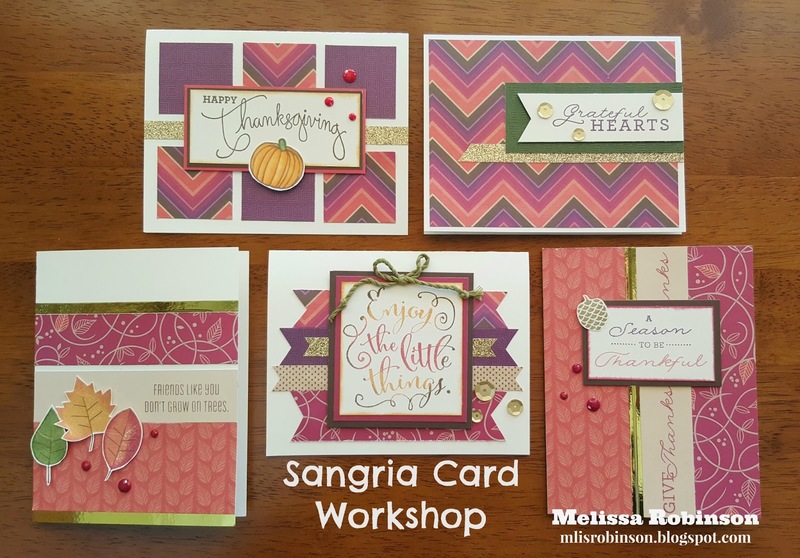 Embellishments are from the Sangria Complements and Fundamental Stickers Enchantment Pack. I couldn't leave it alone without adding Gold Sequins and Gold Shimmer Trim, of course! Consider creating a card using this sketch and link up to Heart 2 Heart this week! I can't wait to see what you come up with! Sign Up This Month & Receive Convention Bag FREE! 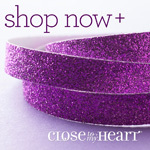 It's always a great time to join Close To My Heart and my team but at times it's even better at times...like NOW! 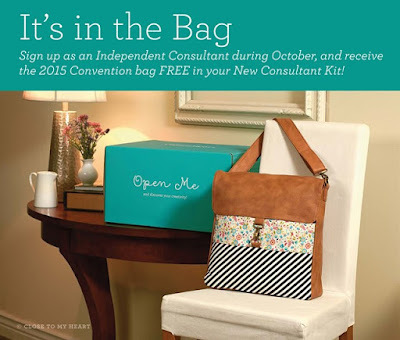 When you join my team in October, you will get this fun and fabulous bag that was our exclusive 2015 Convention bag. It is fun and stylish, a perfect addition to our already awesome consultant kit. 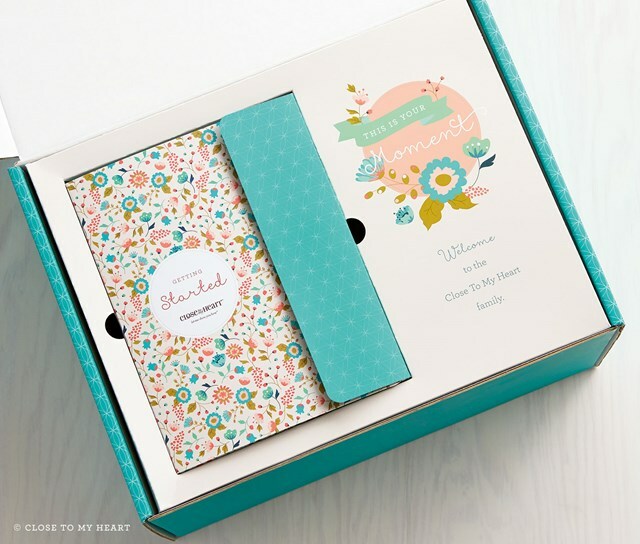 When you sign up for just $129 (plus shipping and tax) a beautiful, "Tiffany blue", box will arrive on your doorstep and will contain all that you need to get started with your CTMH business. You can choose to do so as a hobbyist or part-time/full-time business, whichever fits into your life at this time. As your upline, I will support and guide you towards reaching your goals while enjoying a discount on our fabulous products. The Consultant Kit contains the perfect combination of new product that is perfect for getting you off to a great start! Items shown represent contents of New Consultant Kits ordered between August 1, 2015 and November 30, 2015. Contents are subject to change without notice, and change regularly based on product and collateral availability. I would love to have you join me on this fun adventure! I host team events throughout the year, involving long distance team members to participate as well. If you have any questions, please contact me at your earliest convenience. 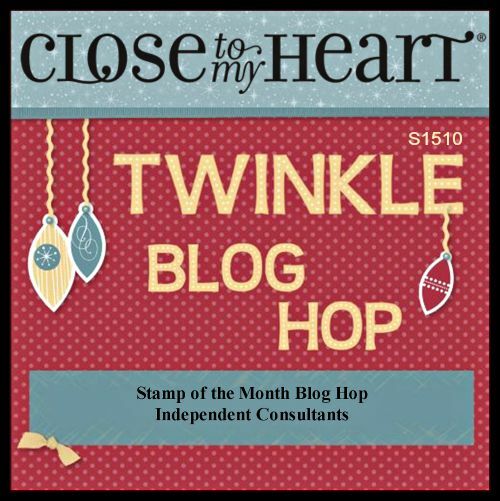 Join us and discover all the wonderful rewards of being a Close To My Heart Independent Consultant. Plus, you can earn additional rewards through the Straight To The Top program. 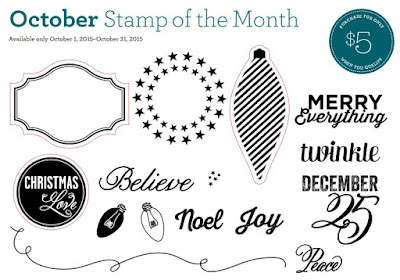 Welcome to our Blog Hop where we are featuring the October Stamp of the Month, "Twinkle". It is absolutely adorable - shown below - and can be yours for just $5 this month! I know I am going to wear out this beauty! 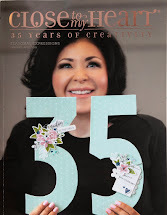 If you are coming from Michelle's Blog you are on the right track. You can find a complete listing of blog participants by clicking here. Paper Fundamentals were used to create this card, pulling from two different packs, so I could use Sunset, Pomegranate and Eggplant. I stamped the star image in Sunset, using second generation in some cases to create the two tones. 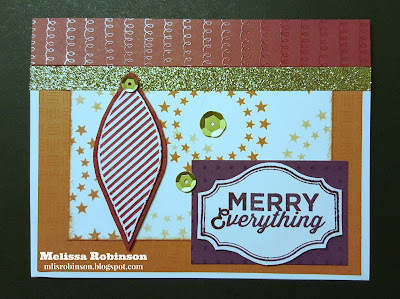 The ornament was stamped and then layered on the Pomegranate patterned paper. Gold Sequins and Shimmer Trim kept this card simple, using a different color combination than what may be typical for Christmas. 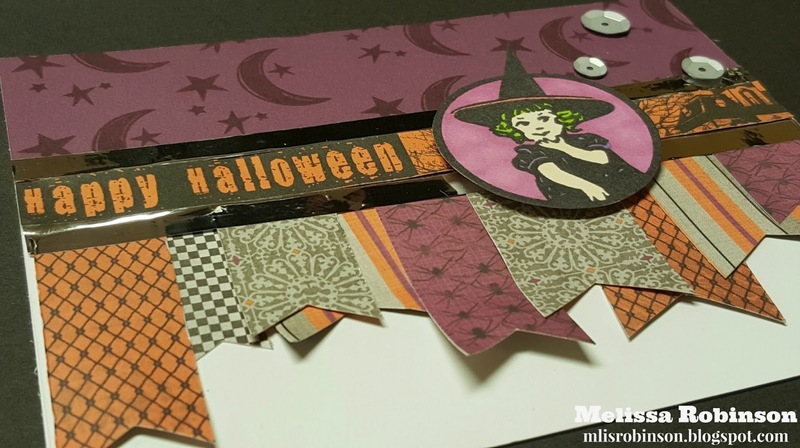 Thank you for stopping by and now head on over to Melinda's Blog to see her fabulous creation!